The built-in eco sensor automatically adjusts the screen's brightness to the intensity of the ambient light in the room. There's no ability to connect headphones. If you need a top-tier television from the renowned manufacturer, the Samsung Electronics UN32M5300A Smart LED TV is the best choice. It delivers a stunning picture with amazing clarity. With Voice Remote with Alexa, you can search any media content or adjust TV settings using either buttons or your voice. It offers pretty average black levels and contrast. This Toshiba panel is a very robust and full-featured model that can successfully integrate with other smart home devices. It does compromise the picture quality a bit but it hits its sweet price. 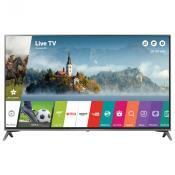 It uses one of the best Smart TV platforms on the market which offers access to over 5,000 streaming channels with more than 500,000 movies and TV episodes. This TV cannot get very bright. 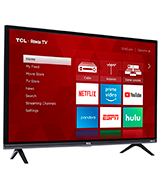 With its low price tag, ability to play 1080p Full HD media, modern-looking slim frame and decent picture performance, the TCL 32S327 is a real bargain. 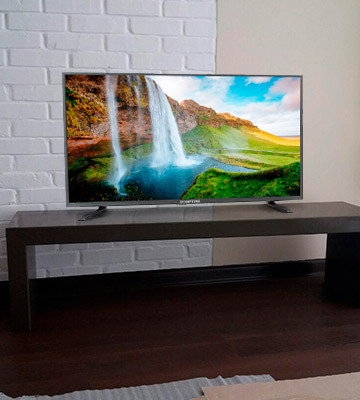 The TV allows you to adjust picture settings for each connected device. By the way, 2.0 USB port supports high-capacity USB flash drives. Deviation from the center results in degradation of image quality. With a user-friendly interface, sturdy build and good picture quality, the Insignia NS-32DF310NA19 can become a respectable second TV in your household. The VGA input allows you to connect computers that do not have HDMI-out so that you can use this TV as a 32-inch monitor. The panel itself is rather thick. The Sceptre company offers a decent, functional 32-inch 720p HD TV without any questionable frills. It may not be a name brand, but this TV works just fine and allows for cable connection without an antenna. The Samsung UN32N5300 is an upgraded model of the popular Samsung UN32M5300. It's part of Samsung’s 2018 TV lineup which has been improved in just about every aspect. The TV boasts a new version of Smart Hub that has a few improvements compared to the 2017 Smart Hub version. The key feature is an advanced SmartThings App that allows you to control the TV and other connected devices with much more ease. Besides that, the Samsung Smart Hub allows you to quickly find various movies, TV shows, sports events, and more. The Smart Menu is user-friendly and easy to customize. All of its apps can be rearranged and if you need, you can also set up "quick access" feature. Another highlight of this model is the HDR support which ensures high-quality HDR content with enhanced details, crisp clarity, and expanded contrast. Also, compared to the previous model, the UN32N5300 provides quicker Internet connection thanks to the 802.11ac iteration of Wi-Fi connection. Of course, we couldn't skip the interface of this model. 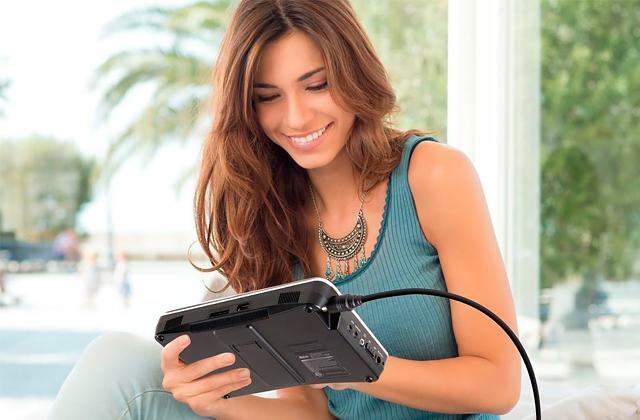 It has plenty of inputs and outputs including 2 HDMI ports, 1 USB port, 1 Ethernet port, 1 RF input, 1 component input, 1 composite input, and 1 mini-jack audio out. 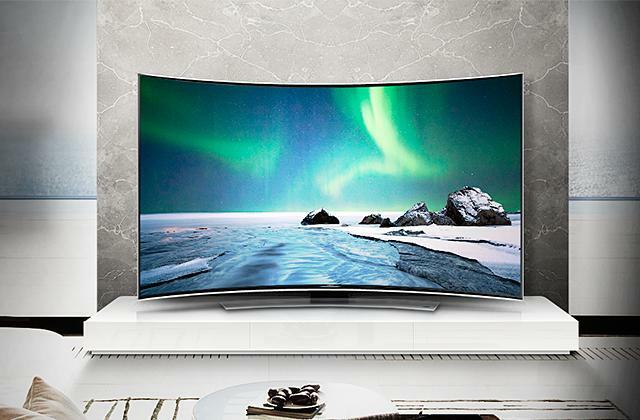 So, if you want one of the best models in the current Samsung’s TV lineup, the UN32N5300 is a good pick. With this TV, you'll be able to enjoy a faster wireless connection, improved Smart Hub, and HDR support. 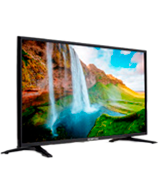 This TV uses the famous Samsung Micro Dimming Pro technology to deliver a crystal-clear picture with better contrast vibrancy across the whole LED screen. The trick is that the screen's brightness is automatically adjusted to the intensity of the ambient light in a room. As a result, the image gets more “eye-friendly” with better contrast and deeper blacks. And you'll get not only the most optimal image but also reduced electricity bills. Like the previous model, this one uses DTS Premium Sound 5.1 to provide good clear sound, though the bass could be more powerful. 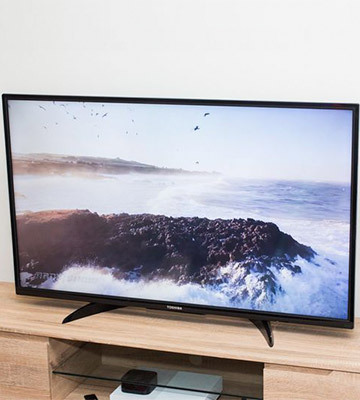 Still, we would definitely recommend this TV from the leading manufacturer to those people who need a terrific television with a great picture and an acceptable sound. 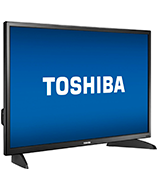 While the market offers a rich choice of 32-inch TVs ranging from really expensive models to some more than moderately-priced ones, the Toshiba 32LF221U19 is the golden mean among them. For less than $200, it has quite a lot going for it. 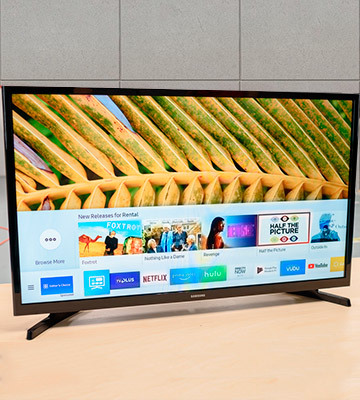 This Toshiba TV can really become your go-to entertainment partner with the convenience of built-in Fire TV platform ridding you of the need to buy a separate media streamer. First things first, this TV offers all the benefits of the Alexa and Fire TV OS. A voice remote with Alexa, Amazon's voice assistant, lets you search any media content or adjust TV settings using either buttons or your voice. 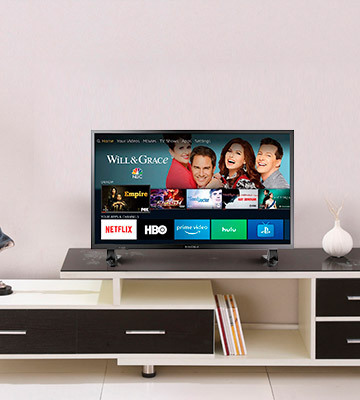 The built-in Fire TV allows you to enjoy thousands of channels including Netflix HBO, STARZ, SHOWTIME, and others. And after signing up to your Amazon account, you get access to Amazon video/music, Netflix, Hulu, Sling TV, Twitch, and Spotify. The included remote has the standard layout for Fire TV streamer remotes and is fairly easy to use. The design is straightforward with a slim black plastic wand and a glossy black circular navigation pad. There are dedicated buttons for quick access to Amazon Prime Video, Netflix, HBO, and PlayStation Vue. But as mentioned, you can use your voice to launch apps, search for media, playback music, control smart home devices, and more. What is notable, this fancy remote sends signals via both the infrared port and Bluetooth. 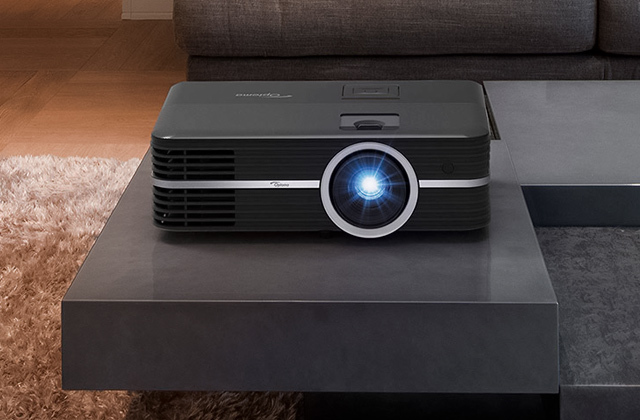 Right off the bat, if you expect a home theater-worthy image from a budget set, it's not the case. This Toshiba TV performs as it should for a middle-range option. It doesn't support HDR but it has a quite good color gamut. All the colors are well-balanced yet not particularly vivid, something you could expect from a 720p panel. Plus, the TV uses direct LED backlighting rather than local dimming, meaning you get pretty average black levels and contrast. Still, given its adequate price, we think it's a minor con rather than a real dealbreaker. Despite a little poor contrast, most TV shows look vivid and very detailed. Hence, if you aren't a particularly picky viewer, you might not even be able to tell this TV from more pricey models. You will easily pick fine details with colors looking very natural and sharp. So, if you're in the market for a robust and full-featured TV set that can successfully integrate with other smart home devices, it's a solid match. It does compromise a picture quality a bit and isn't HDR compatible, but it hits its sweet low price, while still offering good contrasts and Fire TV platform. 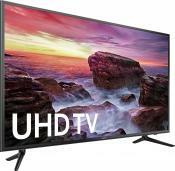 Looking for a good budget Full HD 32-inch TV? 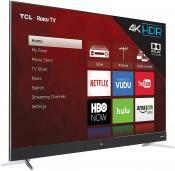 While most other plasmas in its price range utterly disappoint, the TCL 32S327 can really impress you. With an extensive range of apps, this Roku TV delivers a fantastic smart TV experience. For starters, this model has a decent picture quality. A great improvement over the previous S305 series TV is the 1080p Full HD resolution that delivers very lifelike pictures. Also, this TV offers a wider color gamut and touts better 120Hz refresh rate index. Hence, it produces a quite sharp image even during fast-moving action scenes with almost no Motion blur. Unfortunately, this TV cannot get very bright, and that's why it will perform better in dim viewing environments. The TV doesn't support a local dimming feature and can't produce bright highlights. 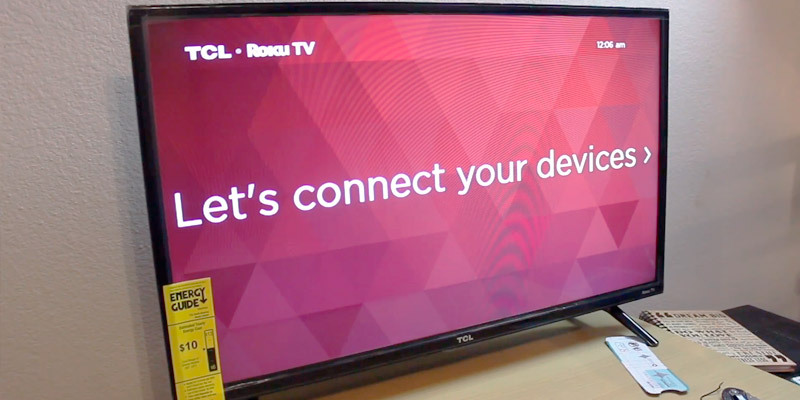 On the positive side, this TCL TV uses Roku smart platform that really rocks. Currently, it's one of the best Smart TV OSes on the market which doesn't stutter. 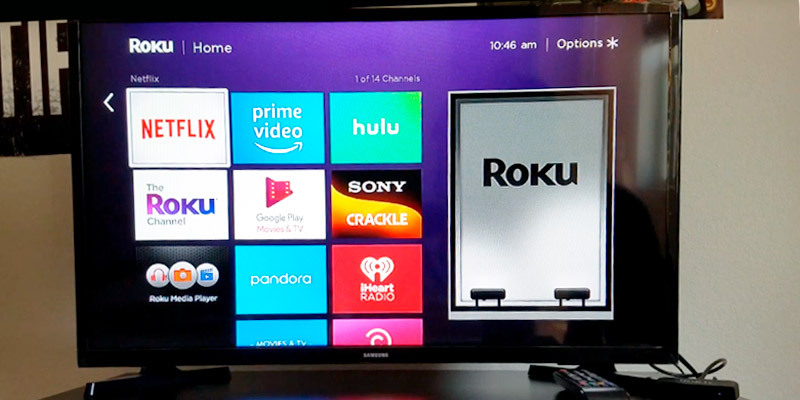 Roku offers access to over 5,000 streaming channels with more than 500,000 movies and TV episodes. Also, it allows you to get access to nearly 1800 apps including Netflix, Hulu Plus, HBO Go, Amazon Instant and more. 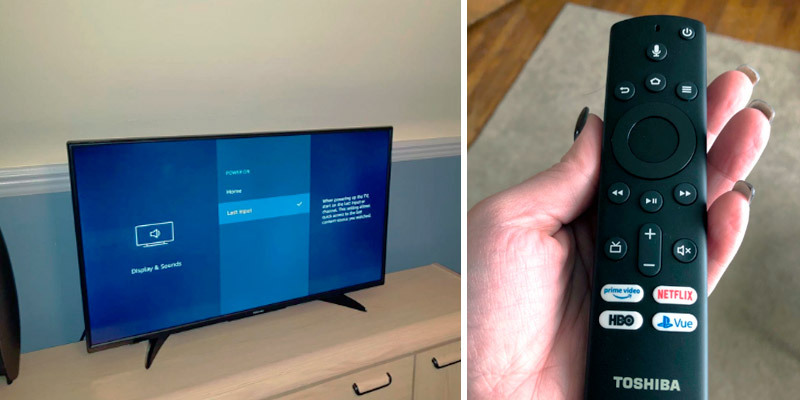 For easy navigation, the TV is supplied with the super-simple Roku remote that has only 20 buttons, twice less than traditional TV remotes use. Moreover, if you want, you can turn your smartphone into a fully functional Roku remote with voice control capability. Besides excellent smart features, the other attractions include a narrow bezel, quite small footprint, and low-than-average price. Measuring 28.8" x 19.1" x 7.1" (with a stand), it has a slim gloss-black bezel that keeps you focused on the screen. 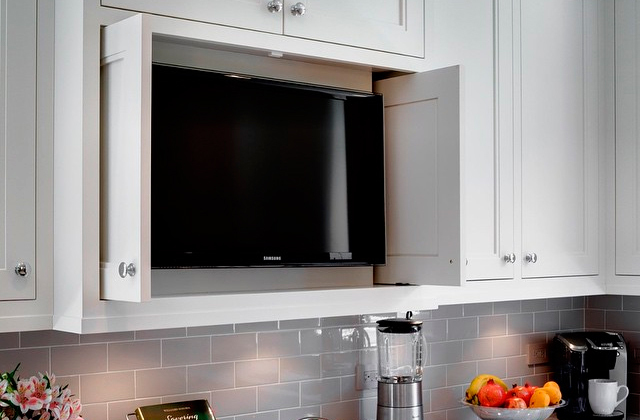 Nice clean lines with a tiny frame create a floating look that's rarely seen on entry-level TVs. All the wiring is neatly hidden behind for a neat look. So, you get more of a picture and less of a mess. On the back of the plasma, there is a good selection of ins and outs that include three HDMI slots, RF input, USB slot, and a set of video/audio inputs. 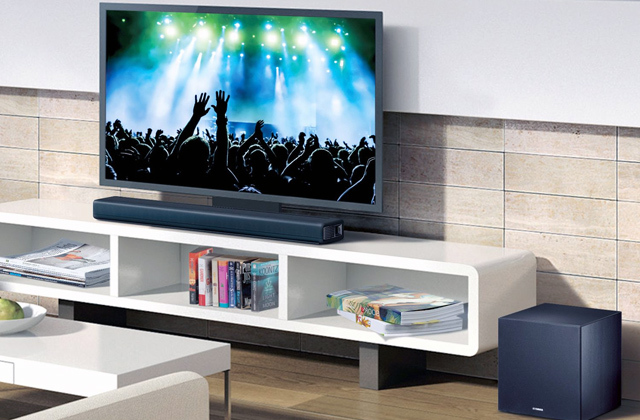 The TV's handles digital media quite fluently and is compatible with a wide range of media files. 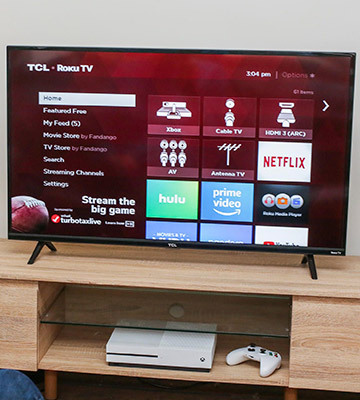 All things considered, the TCL 32S327 is definitely one of the best bargains around considering its low price, ability to play 1080p Full HD media, modern-looking slim frame and decent picture performance. The Insignia NS-32DF310NA19 is one more TV in our list that uses the Amazon Fire TV Edition. It's worth mentioning that Fire TVs are among the least expensive sets on the market, though their features are one of the best-in-class. Moreover, every model includes a voice remote that can be controlled via Alexa Echo or Dot devices, and this one is no exception. 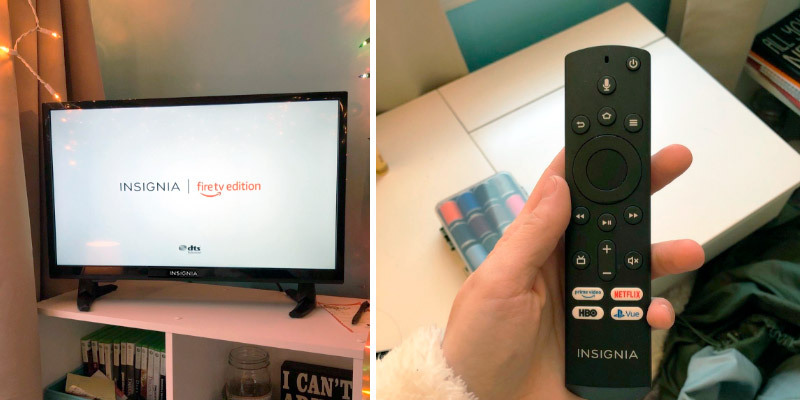 The Insignia NS-32DF310NA19 with the Fire TV lets you enjoy tens of thousands of channels and apps including Netflix, Hulu, HBO, Prime Video, SHOWTIME, STARZ, and many more. The app selection is really wide and responses are fast. 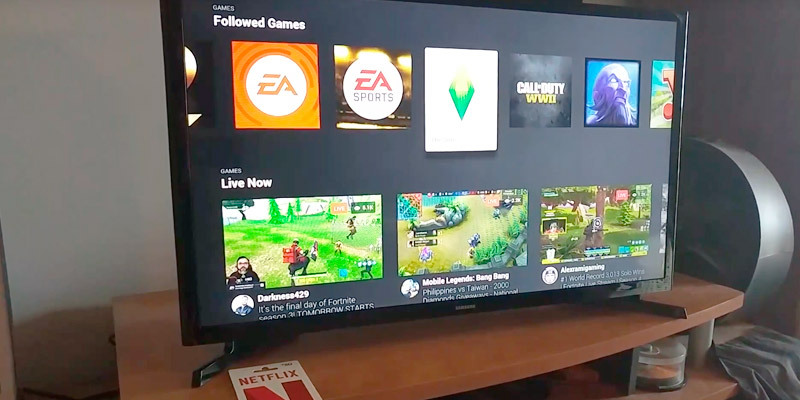 And if you get an HD antenna additionally, the Fire TV will bring together the live over-the-air TV and streaming channels right on your home screen. The Insignia TV is powered by a quad-core CPU, so you can expect instant search results and fast response time. To maintain its fluid responsiveness, the TV supports automatic over-the-air software updates. Hence, you'll always have the latest updates and peak performance. Speaking about the picture quality, the TV delivers quite crisp HD images with deep blacks and rich colors. However, we feel like this TV is made for watching in front mainly, as any slight deviation from the center results in degradation of image quality. The build quality is decent. 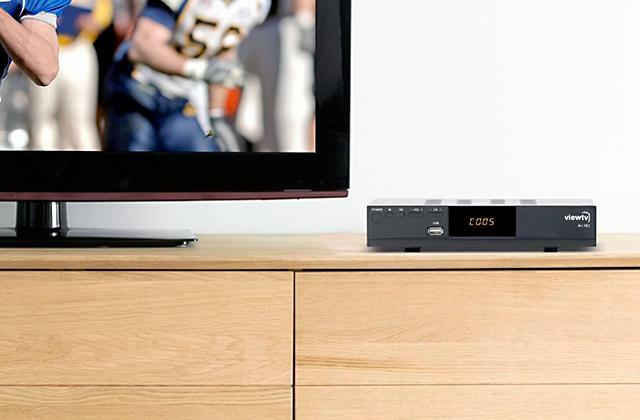 The Insignia NS-32DF310NA19 is designed with plastic and metal parts that deprive the TV of that sleek, premium look. 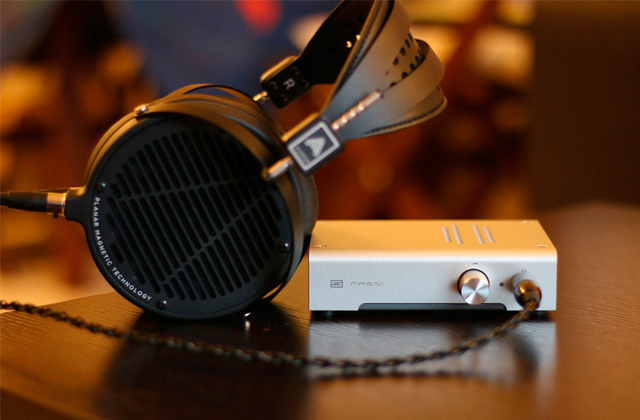 However, there are no issues with the build quality - you'll find no gaps or loose ends in it. Plus, the TV stand supports the TV quite well. The back of the TV looks very plain with lots of interface options. 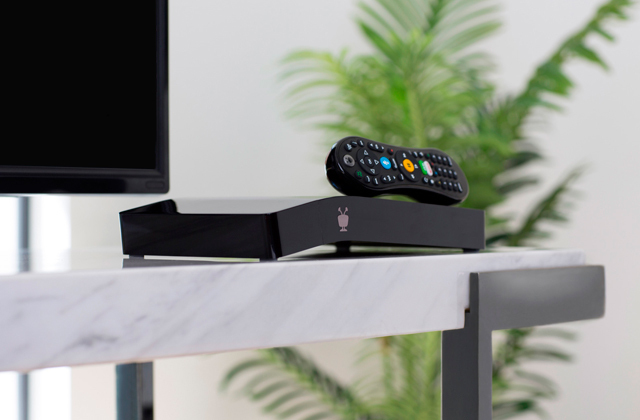 The plasma boasts not two but three HDMI ports allowing you to connect your cable/satellite box, gaming console, and one more device. 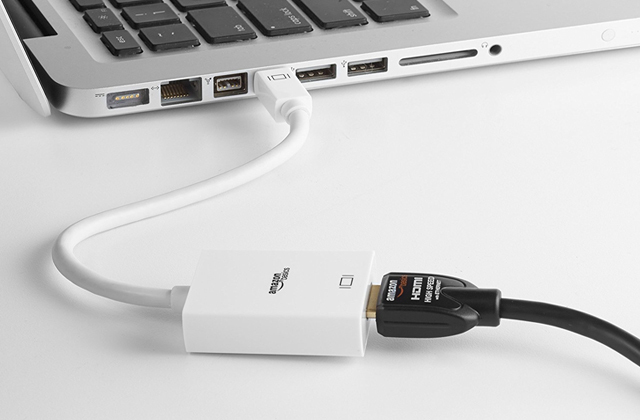 Besides three HDMI inputs, there is a 2.0 USB port that supports high-capacity USB flash drives and some other input/output options. As a nice touch, you can adjust picture settings for each connected device. To sum it all up, with a user-friendly interface, sturdy build, and good picture quality, the Insignia NS-32DF310NA19 can become a respectable second TV in your household. Founded in the USA, the Sceptre company has under its belt 30 years of successful experience. 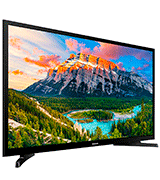 The company has developed its own winning formula of delivering high-quality products at affordable prices, and the Sceptre X328BV-SR 32-Inch TV is certainly one of those products. For less than $130, it offers 720p HD resolution and a decent image. Owing to MEMC 120 technology (Motion Estimation and Motion Compensation), all fast-moving action movies, video games, and sports will flow smoothly from frame to frame. 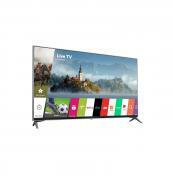 This TV allows you not only to select the color intensity but also to give images warm, cool, or regular undertones, though some users note that the black levels leave a lot to be desired. We would also like to point out that it's an Energy Star V7.0 rated model, meaning it's light on electricity bills and the environment. By pressing the "Menu" button on the remote, you can quickly set the whole thing up and make all the adjustments. The remote itself is pretty basic, with control buttons, a number pad for entering channels, and a four-way direction pad for choosing Channels Up/Down and Volume Up/Down. You can also adjust the quality and tone of the sound. There's even an option for surround sound. Besides that, there are no extra frills. No built-in Wi-Fi and no smart capabilities. All it is is a simple and affordable TV with a decent picture and good sound, making it an excellent option for guest rooms. This TV has an HDMI input to deliver a great combination of high-definition video and clear audio. The Mobile High-Definition Link allows streaming videos from a smartphone or tablet, which results in a visually enhanced picture quality. Naturally, this TV has a USB port that is helpful when you want to flip through some pictures or stored music tracks. The Sceptre TV also has basic VGA, component, and composite inputs for different devices. 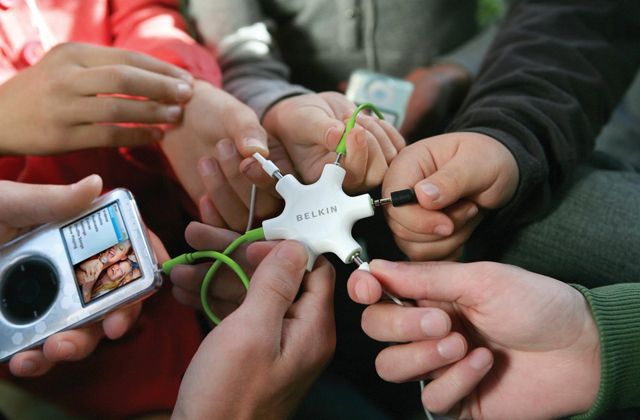 Its notable feature is a built-in TV tuner that makes cable connection possible without the need for an antenna. The tuner can receive and decode ATSC, NTSC, and ClearQAM signals. So, if you don't want to overpay for cable or satellite TV but still want to get high-definition network television, the Sceptre X328BV-SR is a simple and inexpensive solution. What Is a 32-inch LED TV? Did you know that on average people watch about five hours of TV per day, nearly 35 hours per week? Almost as a full-time job! And most families own two or more TV sets. 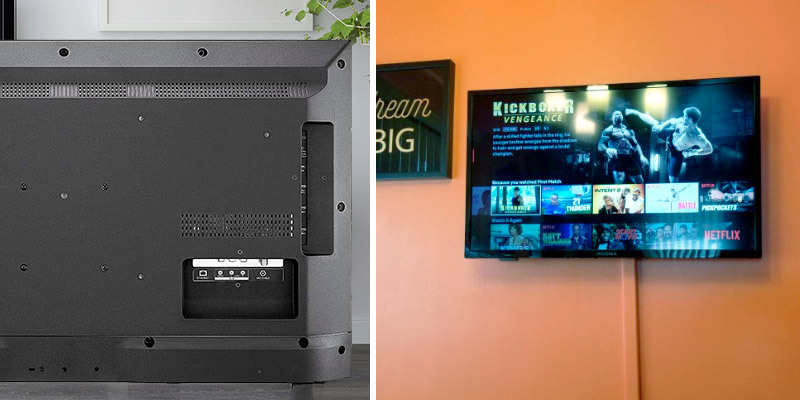 People tend to install huge 55-inch TVs in their cozy living rooms and more compact models in smaller rooms. 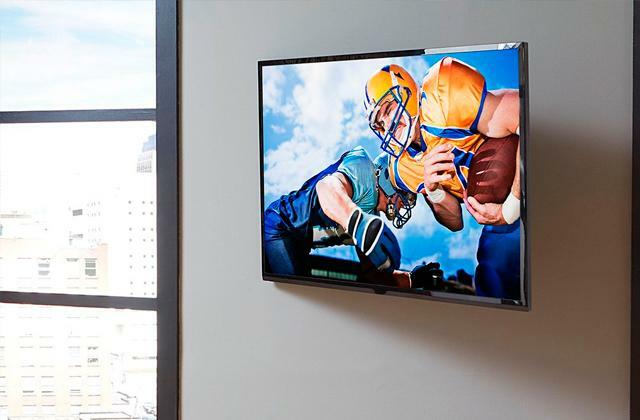 A 32-inch TV has just the right size to fit in bedrooms, guest rooms, exercise rooms, or kitchens. For this review, we have chosen the best LED TVs available on the market. 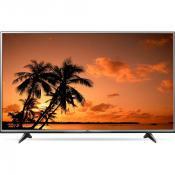 This type of TVs is equipped with traditional LCD panels that are backlit with LEDs. Usually, LED TVs have very thin displays, produce a wide color gamut, provide added brightness, offer good contrast levels, and consume little electricity. The majority of models are packed with built-in Wi-Fi allowing users to watch stream TV, YouTube videos, browse the Internet, listen to the radio, access various apps, and more. 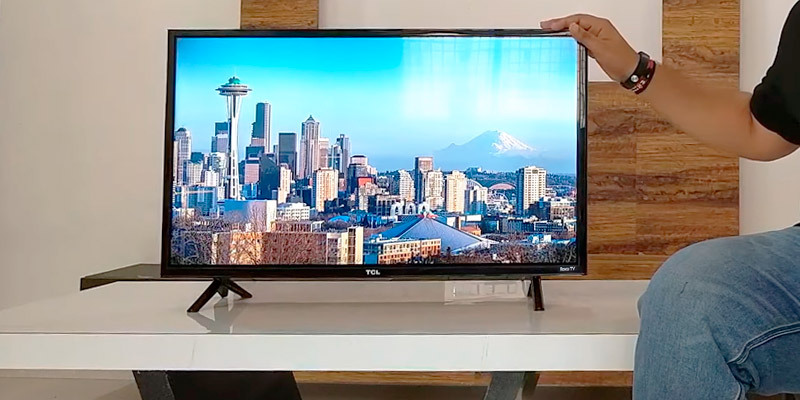 So, keep on reading our review of the top 5 32-inch LED TVs and choose the one you really need! 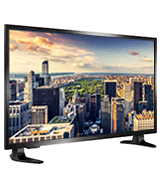 The first thing to consider before buying a TV is a display resolution. Actually, the resolution is the number of distinct pixels that can be displayed on the screen. The higher this number, the better. Currently, most TVs have High-definition (HD) resolution or Ultra-high-definition (UHD) resolution. The cheapest TVs have HP (1280p x 720p) resolution. The picture isn't so impressive compared to UHD resolution, however, if you're buying a television just for watching TV shows, this resolution will be sufficient for you. Moreover, such popular channels as ABC, Fox, ESPN, and some other channels broadcast at 720p only. More sophisticated (and pricey!) models use Full HD resolution (1920p x 1080p) that is better for watching movies, sports events, and similar video content. And the high-end TVs have the best 4K UHD resolution that ensures the clearest and the sharpest picture possible. Yet, these TVs are the most expensive on the market. Also, take a look at the design of a TV. If you want to fully focus on entertainment, choose those models with minimal bezels to enjoy almost edgeless pictures. Try to choose the frame that will match your room interior. 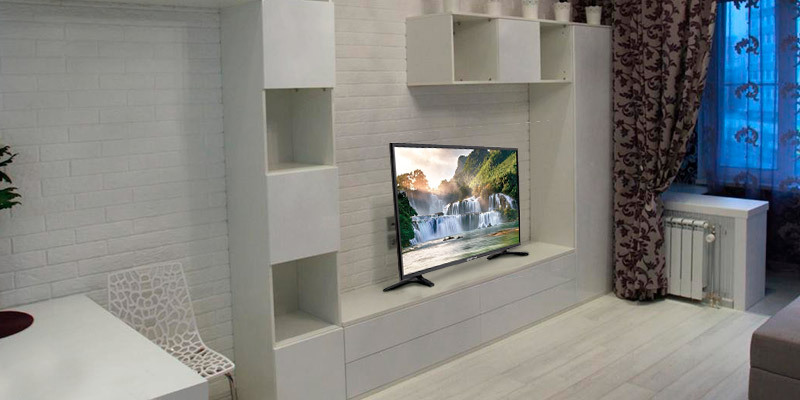 In case you want to mount a TV on the wall, look for models that come with articulating or tilting wall mounts. 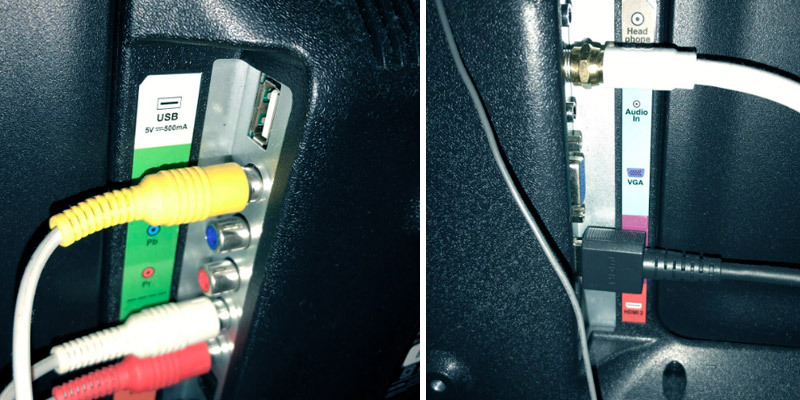 If you're going to connect HDMI cables, satellite receivers, Blu-ray players, game consoles, or USB drives to a TV, consider the interface and the ports available. Another thing to take into account is a remote control. If your elderly relatives are going to use a TV too, it's better to choose remotes with fewer buttons. We would like to point out that some top TVs can be paired with your smartphones or tablets after downloading a dedicated app. Here, you need to decide whether you want an ordinary or a smart TV. By Smart TV we mean a model with built-in Wi-Fi and, consequently, access to the Internet. 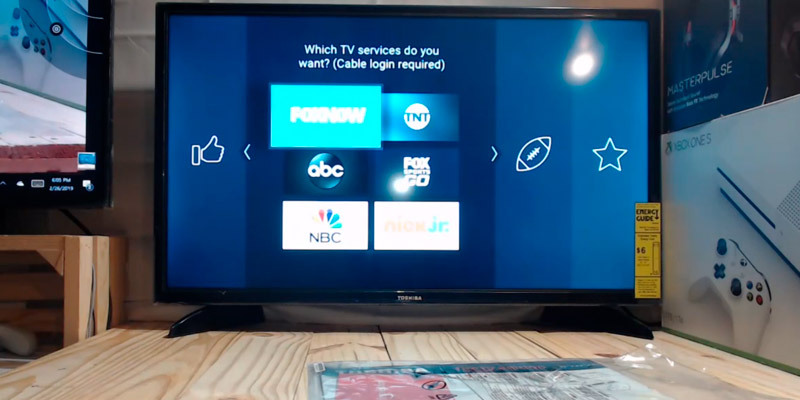 These models offer plenty of TV programs, movies, and music without a need to connect a TV antenna or subscribe to cable/satellite services. They come with numerous apps already pre-installed, and if you wish, you can always download more. Yet, smart TVs are more expensive than ordinary ones. So, if you need a simple TV without all those bells and whistles, there's no reason to overpay for "smart" functions. TV shows have been around since the earliest days of the medium and many of them have come from the radio. So, the beginning of "talk show golden age" is considered to be somewhere in 1948, however, the television wasn't widespread across American families until the 1950s. Meet the Press is the longest-running show (news/interviews) that was first broadcasted on November 6, 1947. Nowadays, the number of episodes make more than 3,600. As for the television talk shows, the world's longest-running show is called The Tonight Show. It has debuted in 1954 and continues up to this day (more than 12,000 episodes). One of the most popular TV shows in the US now is the Oprah Winfrey Show. Currently, it consists of 25 seasons, 4561 episodes. The first television ad was broadcasted on July 1, 1941, on screens in the US. The 20-second spot for Bulova watch appeared before a baseball game. At that time the advertisement cost just $9. 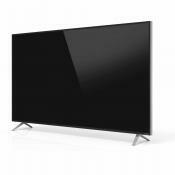 The Austrian company, C Seed, has released the world's largest 4K widescreen TV, C Seed 262. As it goes from its name, the LED screen makes as many as 262 inches (6.65 meters). The TV is priced around $500,000. The first television was invented by J.L. Baird, in 1926. It delivered coarse image and had 30 lines only. Nowadays, the number of lines reaches 2160 (UHD resolution). HD television standards were ratified in 1996, before manufacturers all over the world invented the first HD sets. The first US television station was launched in 1928, while BBC transmission started in 1930. Yet, the real expansion of television came in 1950s-1960s, after World War II. The first satellite television was launched in 1962. Already in 1969, more than 600 million people had satellites in their homes. 99% of American households have at least one TV, and more than 60% people have at least three TV sets. There're more than 275 million TVs in the US nowadays. 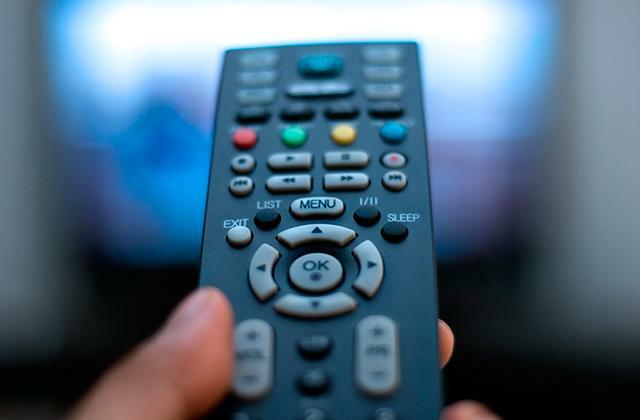 The majority of families prefer cable TV. 4% of energy consumption go on powering television. Annually, Americans watch approximately 250 billion hours of television. During our entire life, we see over 2 million TV ads. The word "television" comes from the word "tele" (Ancient Greek) meaning "far" and the Latin word "visio" meaning "sight". Actually, the word “Television” was first documented as a term in 1900. It was coined by Constantin Perskyi, a Russian scientist.